At the dawn of the radio age in the 1920s, a settler-mystic living on northwest coast of British Columbia invented radio mind: Frederick Du Vernet—Anglican archbishop and self-declared scientist—announced a psychic channel by which minds could telepathically communicate across distance. Retelling Du Vernet’s imaginative experiment, Pamela Klassen shows us how agents of colonialism built metaphysical traditions on land they claimed to have conquered. Following Du Vernet’s journey westward from Toronto to Ojibwe territory and across the young nation of Canada, Pamela Klassen examines how contests over the mediation of stories—via photography, maps, printing presses, and radio—lucidly reveal the spiritual work of colonial settlement. A city builder who bargained away Indigenous land to make way for the railroad, Du Vernet knew that he lived on the territory of Ts’msyen, Nisga’a, and Haida nations who had never ceded their land to the onrush of Canadian settlers. He condemned the devastating effects on Indigenous families of the residential schools run by his church while still serving that church. Testifying to the power of radio mind with evidence from the apostle Paul and the philosopher Henri Bergson, Du Vernet found a way to explain the world that he, his church and his country made. Expanding approaches to religion and media studies to ask how sovereignty is made through stories, Klassen shows how the spiritual invention of colonial nations takes place at the same time that Indigenous peoples—including Indigenous Christians—resist colonial dispossession through stories and spirits of their own. “This book tells a tale of love and theft, and it does so with great skill. 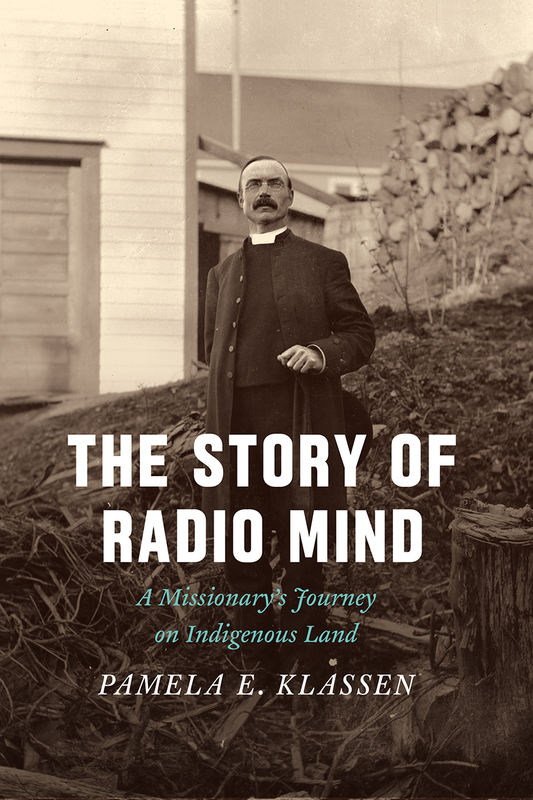 Every page crackles as it dials into some long-lost channel; radio mind is not only the book’s topic but also suggests its method for investigating the borderlands. Weird and wonderful things are to be found in this twilight zone of psychical research on the imperial margin. Frederick Du Vernet, a heterodox Anglican churchman and one of many philosopher-mystics to find the Pacific coast a happy habitat for spiritual musings, takes telepathic flight with his Pauline psychical research while Native activists whose land he sits on use the printing press to fight for their rights. This stylish and gripping ethnographic biography illuminates colonial contradictions and the spiritual and political resonance of media forms. In offering an affectionate but not exonerating look at a fascinating figure, the book itself participates in the long ambiguous arc toward reconciliation."